Are you an activist, social entrepreneur or community leader? Do you have a cause that will contribute to the greater good that you want to promote? Learn how to be your cause’s greatest advocate through the DoSomething.org Boot Camp on Saturday, February 5th, starting at 9 a.m. PST. 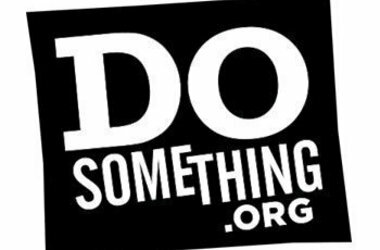 DoSomething.org Boot Camp is packed with how-to sessions on organizing your own community service projects or social enterprises, is streaming live on Fastweb. 3:40-4:30: Speed Pitch Intro & Speed Pitching Session details can be found on Do.Something.org.